We took it inside and placed our bets. 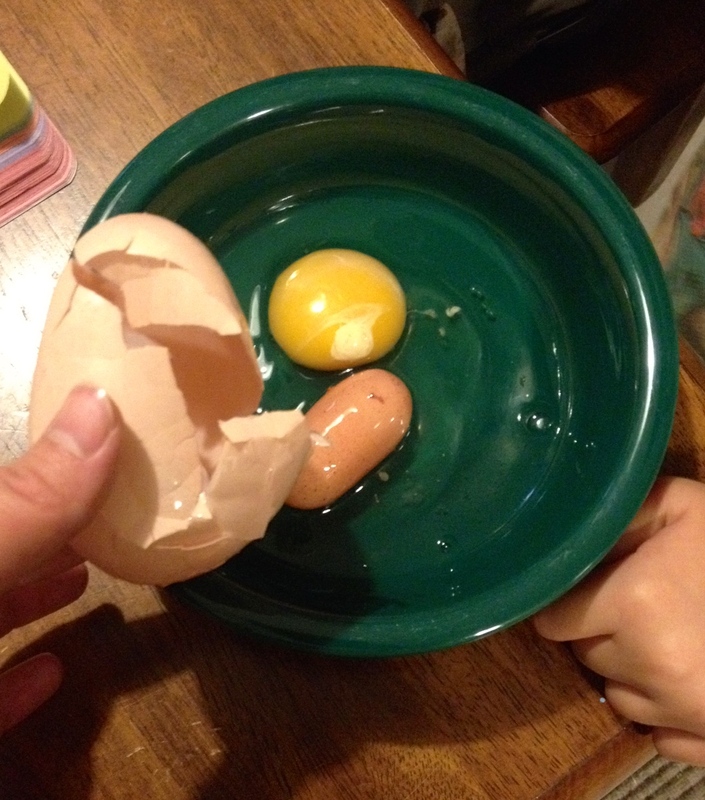 One yolk, two yolk, or maybe it was even a triple-yolker? Tanner thought it might even contain a baby dinosaur (and I was a little weary to bet against him looking at the size of this thing).